A boutique pub with 10 enviable bedrooms - your next staycation! 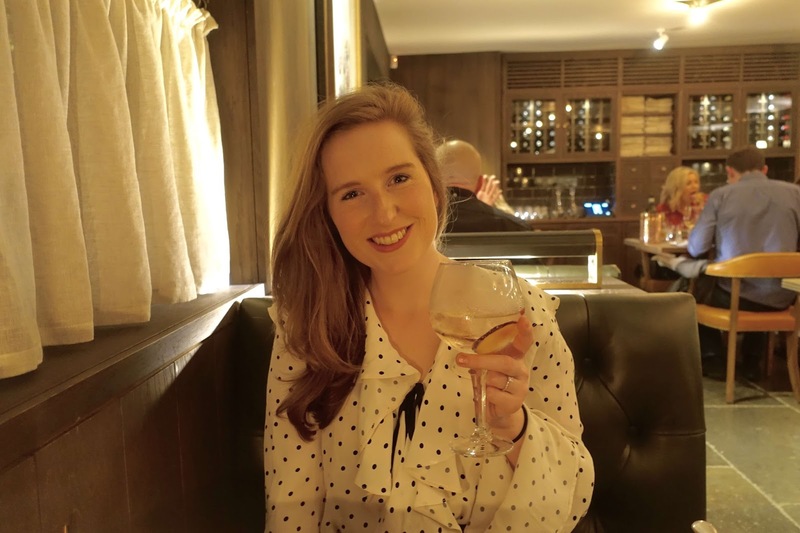 I believe it's the best of both worlds when you get to stay in a super cosy, chic room as well as sample a delightful dinner right on your doorstep. Take a couple of steps downstairs and voila, you're ready to be seated for dinner/breakfast. Finished, full up and ready to rest your food bloat? Even better, you have the luxury of tottering straight back upstairs to your cosy abode. It really is one of the simplest pleasures in life! So, while staying at Hurley House Hotel we were lucky enough to be boarding on a dinner, bed and breakfast basis. There was no need to even leave the premises that evening - blissful! So, shall we start with the talent behind the food? 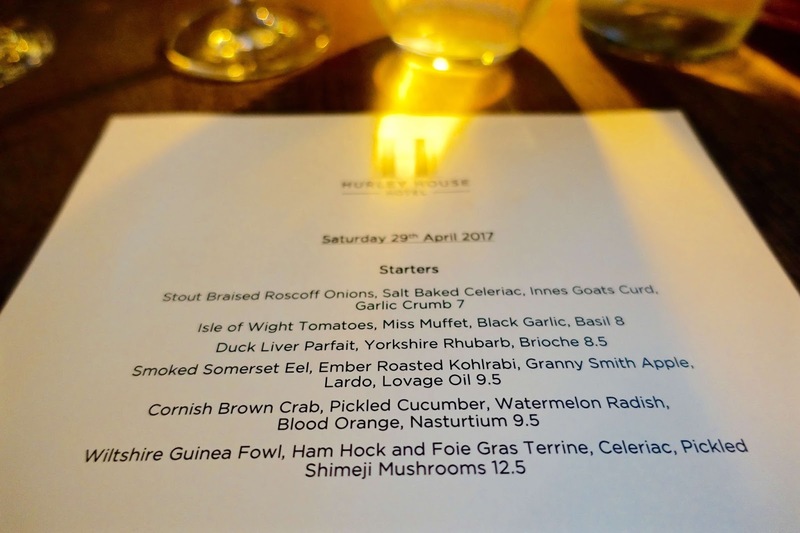 Michael Chapman is the talented Michelin-Starred chef at the forefront of the Hurley House Hotel kitchen. Menu's feature only the freshest of locally-sourced ingredients from Berkshire's best producers and farmers. 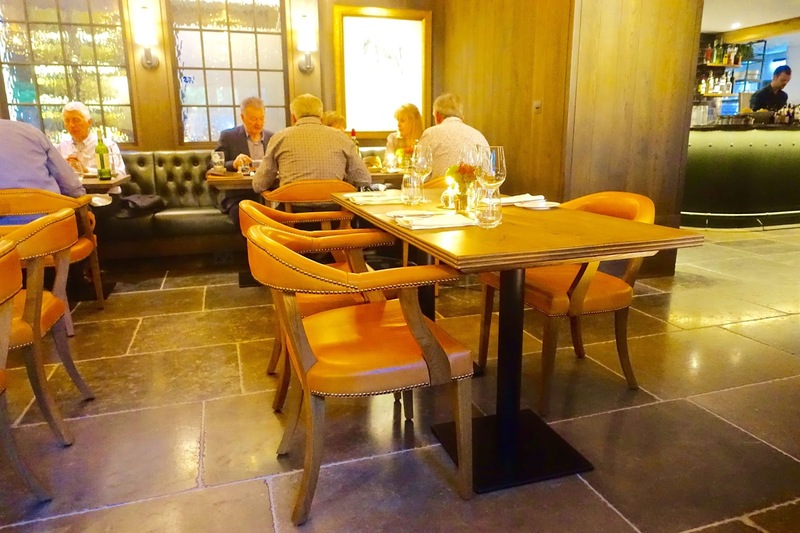 The pub itself was recently renovated in 2016 and boasts a new modern-age elegance with rustic wood burning stoves, flagstone floors and mismatched furniture amongst the various seating areas and warm atmosphere. For sunnier months the hotel/pub also boasts an enviable outdoor terrace with outdoor dining in mind. The outdoor area is also ideal for large events and parties - as the outdoor space can hold up 300 guests. 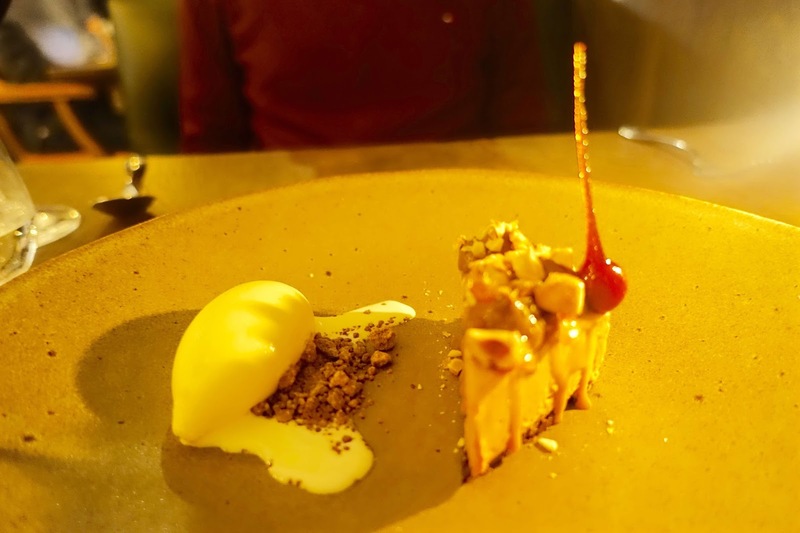 As you may know, I review quite a lot of restaurants, both casual and fine-dining on Rightupmystreet and this by far has been one of my favourite meals to date. 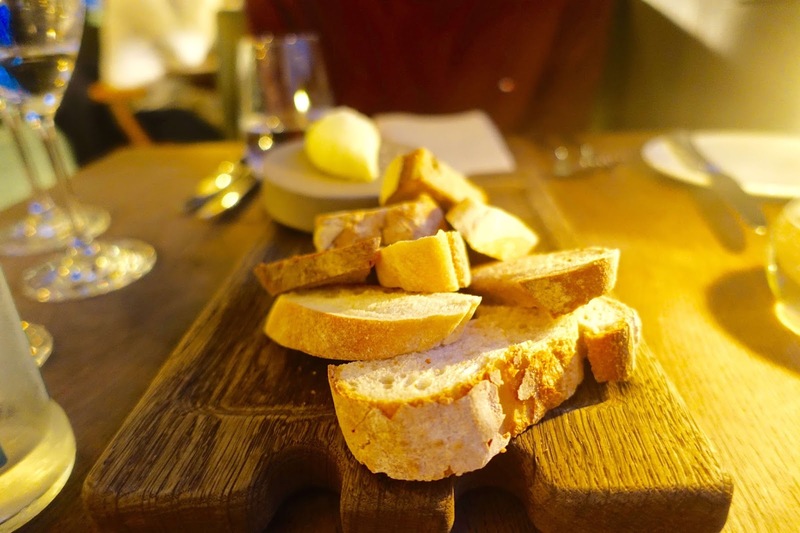 The restaurant at Hurley House Hotel offers a formal dining space in homely surroundings. Delicate details have all been heartfelt. Although unrelated to the food I loved the fact that the staff's dress code was black jeans with a dark green and black checkered shirt - it worked really well and was a nice informal, laid-back touch... (clearly something I remembered well!). So, where do I start with the food? I guess starters and tipple of choice are the most obvious starting place! 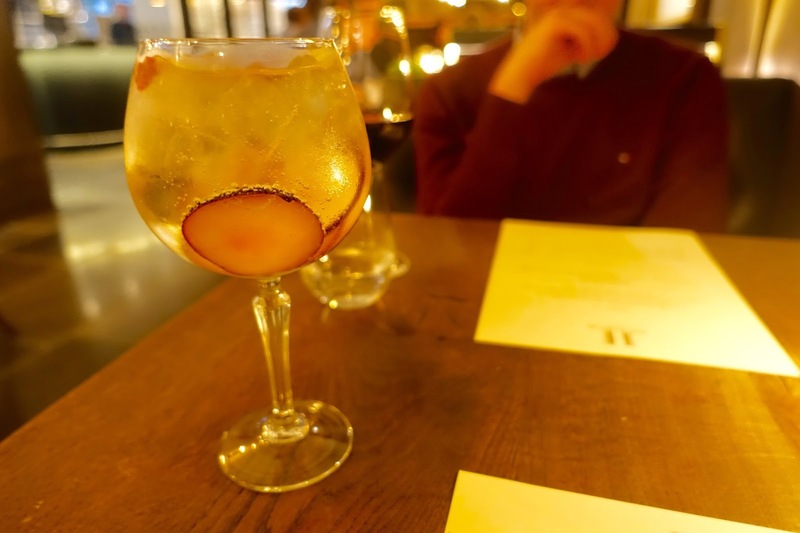 I was pleased to see a variety of gin options on the drinks menu, in particular, a couple there were a couple of signature gins paired with floating fruity pieces. 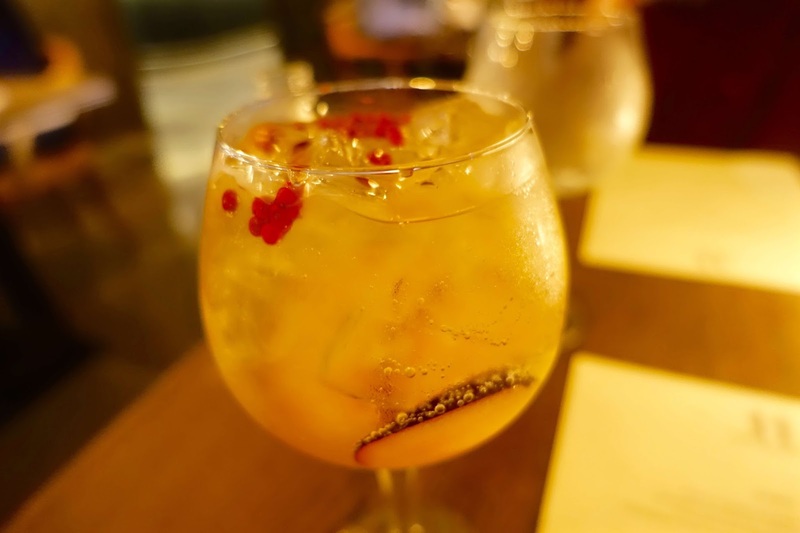 I opted for the gin which was infused with pink peppercorns and slices of plums. After a while, all of the flavours really began to infuse and I enjoyed the drink more and more as I reached the bottom. The food, as I've mentioned already, was utterly delicious and very memorable. I can't fault a single dish that we tried - I made a special effort (like that was going to be hard... *rolls eyes*) to sample each of Alex's courses too. Each dish was presented with impeccable detail - a delight to photograph! 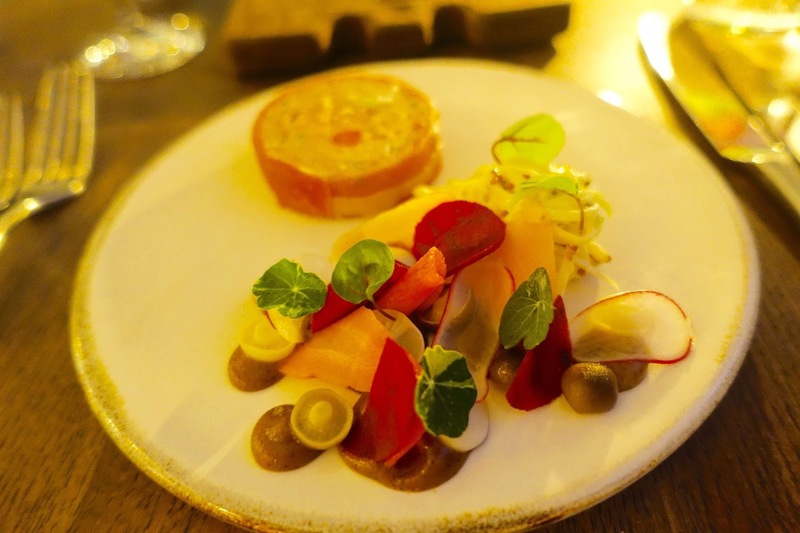 I chose to start with the Wiltshire Guinea Fowl and Foie Gras Terrine (£12.50) which was wrapped in a single layer of ham hock, delightful splodges of celeriac graced the plate and the pickled shimeji button cup mushrooms sat on top. The side salad was sweet and tasted delicious with mouthfuls of the terrine. 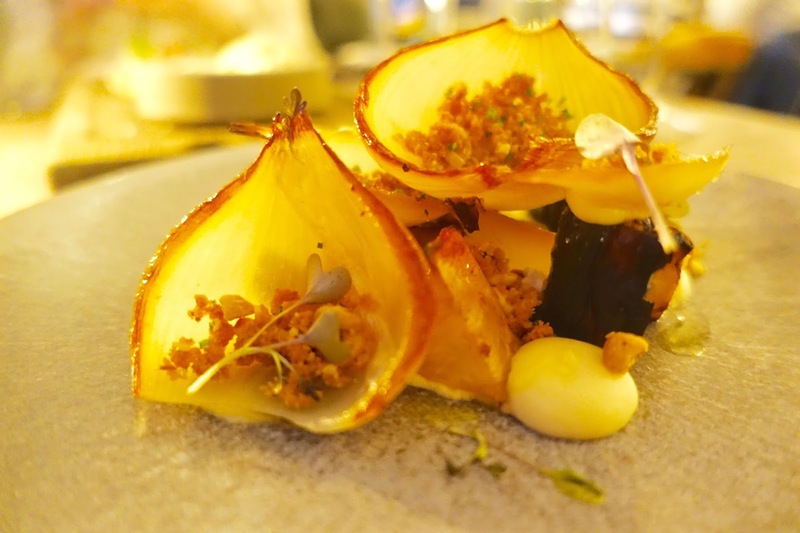 Apparent on most fine-dining menu's celeriac tends to make repeat appearances throughout courses and featured in Alex's first course too - Stout Braised Roscoff Onions, Salt Baked Celeriac, Innes Goats Curd and Garlic Crumb (£7) which was beautifully presented. For the main course, I chose a meat dish and Alex with the fish. 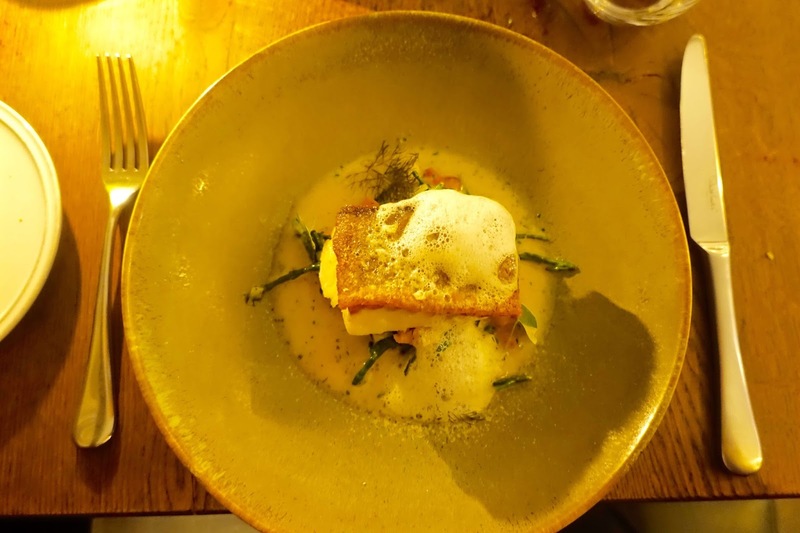 The fish featured a variety of seafood - Cornish Cod, Smoked Scottish Haddock, Potato Broth, Samphire, Pancetta, Leeks, Mussels (£26) in generous portions which Alex thoroughly enjoyed - I've never seen him finish a plate so quickly. The main course was a tricky choice as stand-out others included a fillet of beef and lamb shoulder. 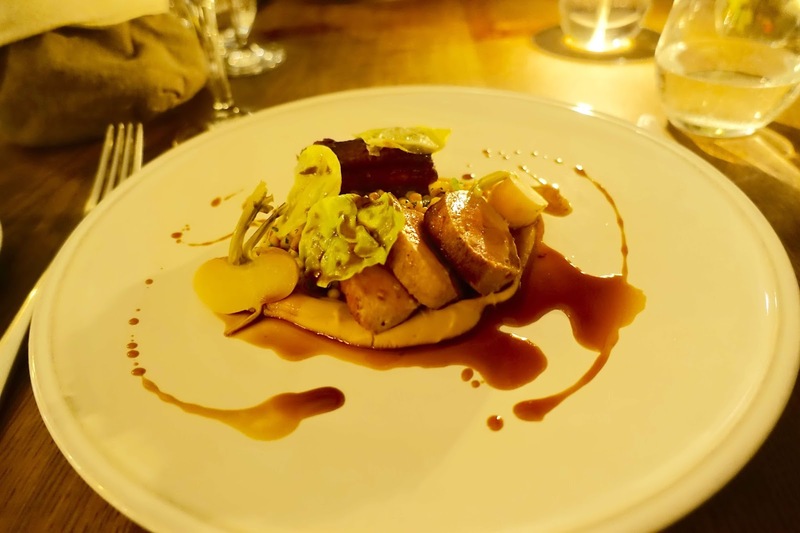 The pork fillet caught my eye as it was paired with a slow cooked pork belly, cauliflower, fregola and a sweet granny smith apple sauce (£27). The meat was cooked to perfection and every mouthful featured the right of savoury and sweet and contrasting textures. For dessert, a clever finish! 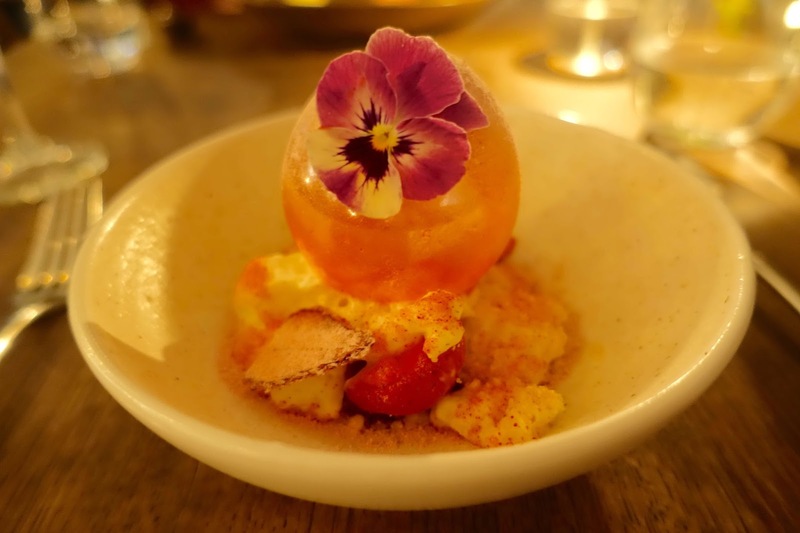 I had lots of fun breaking the glass-style exterior of my perfectly crafted Gariguette Strawberries, White Chocolate Cream and Shortbread (£7.50) spectacle. Shards of hard-boiled sweet strawberries tasted delicious in the white chocolate cream and shortbread under layer. 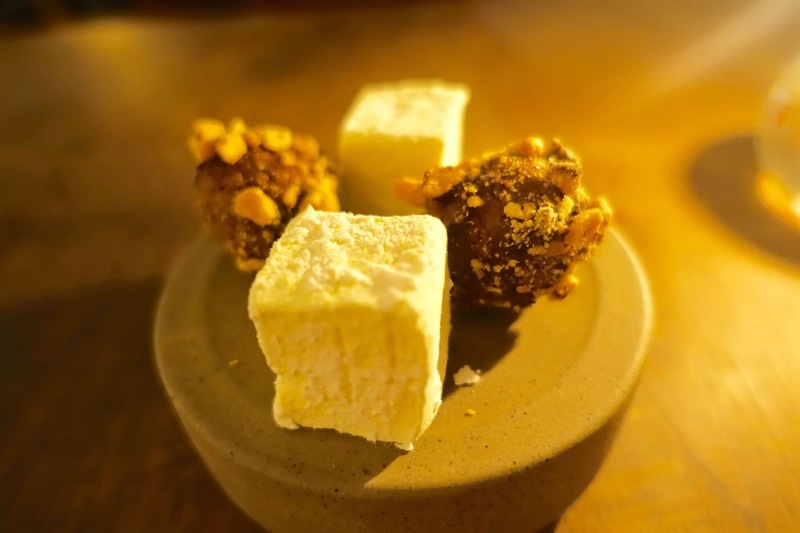 Alex opted for full dessert indulgence - the Chocolate and Caramel 'Snickers' with Peanut Icecream (£7.50), every mouthful felt very naughty and the dusted caramel brittle added the perfect crunch. 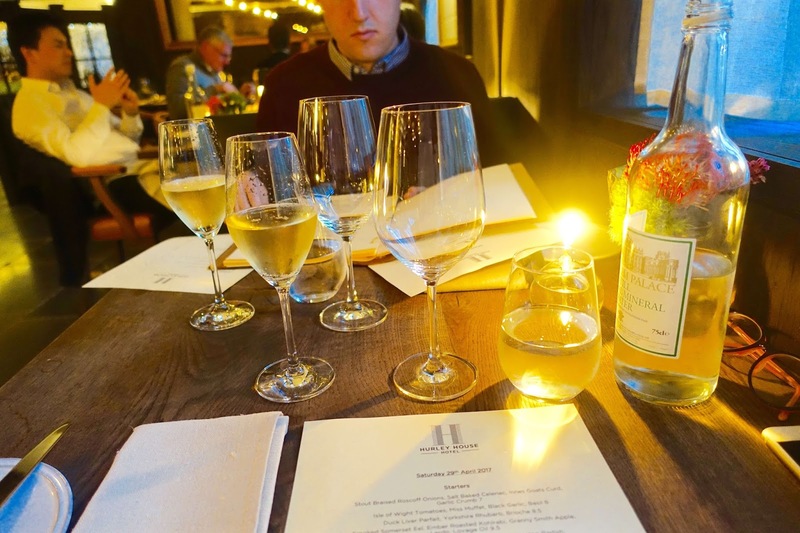 The food quality is of a very high standard and you can expect a 3-course dinner for two with a drink each to total around the £100 mark, so all in all, not half bad!